A face of PUMA since 2016, Cara Delevingne, returns for a new campaign championing the sports brand’s ‘Muse Echo’ sneakers. Showing off a short haircut, the actress and model poses in a sporty Puma tank top and joggers with the new sneakers. A sudsy bubble bath gets pictured against a tiled backdrop for the images. 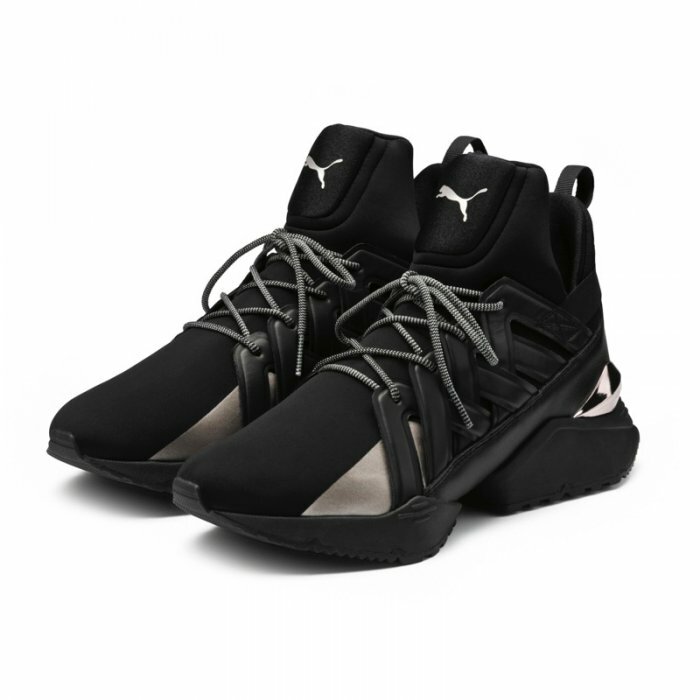 The high performance sneakers include an embossed leather cage with a neoprene upper. A metallic TPU piece at the back adds some fashionable edge to the trainers. 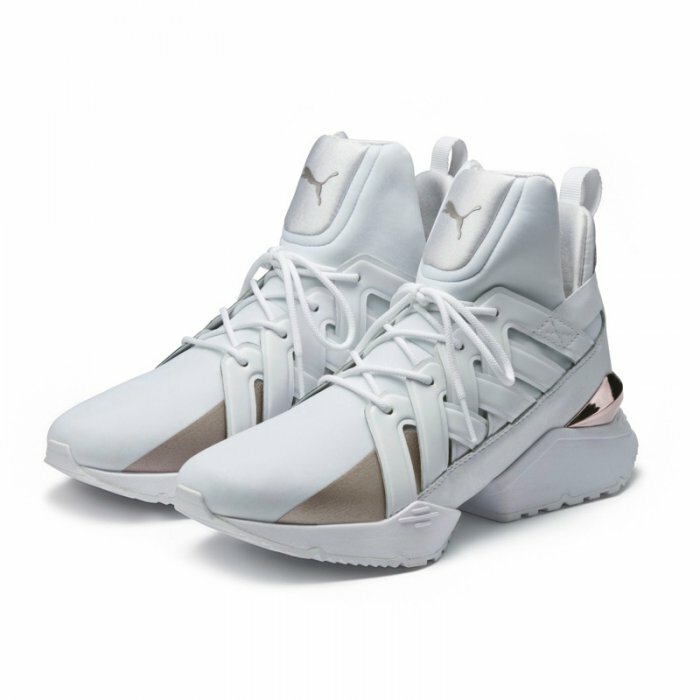 These performance sneakers feature a stylish caged silhouette. The back of these sneakers include a metallic accent for a fashionable touch.